Like many of his colleagues across the state, Texas Tech University President Lawrence Schovanec has felt pressure from both sides of the political spectrum. His response is to call for open dialogue between both sides. 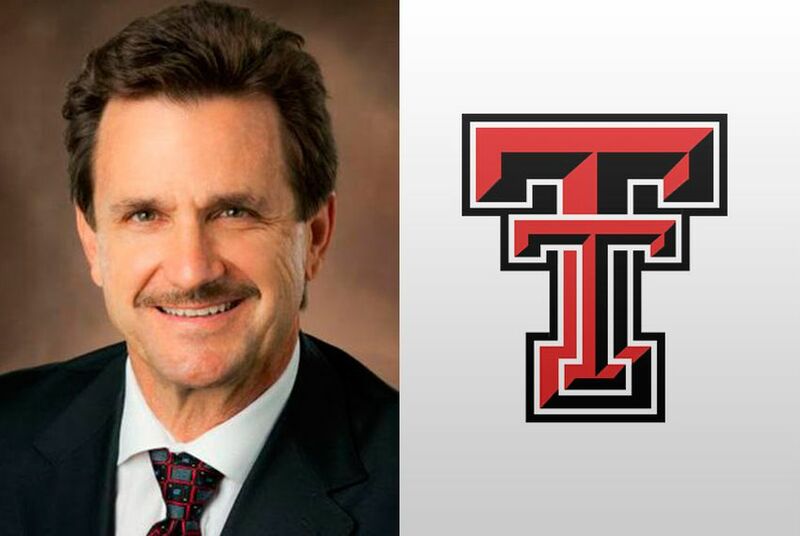 Lawrence Schovanec is president of Texas Tech University. At around 11 o’clock one night this month, Texas Tech University President Lawrence Schovanec received a worried call from the dean of his honors college. In two days, the dean told Schovanec, a University of San Diego law professor named Gail Heriot was scheduled to give a speech about the problems with the federal gender-equality-in-education statute known as Title IX. Her mere presence on campus was already upsetting some students — Heriot is an outspoken affirmative action opponent and was recently called a “bigot” by a congresswoman during a hearing at the U.S. Capitol. The dean wanted to know whether the talk should continue — universities across the state and nation have become embroiled in controversy in recent months over speakers that some students and faculty find offensive. But to Schovanec the answer was easy: Colleges are supposed to welcome difficult conversations, he said. The talk should go on. “I said, ‘How can you promote that kind of serious discussion on social issues if the first time you are given a controversial case you say, ‘Let’s avoid this,' ” Schovanec said. No one would have blamed Schovanec for feeling nervous. Lately, the political pressure on university presidents appears to be mounting. Seemingly minor decisions that touch on politically-tinged subjects like immigration, free speech and race have shown the potential to spiral out of control. And blowback can come from both the political right and the left. Many university presidents are hesitant to discuss that pressure. But in a recent interview, Schovanec described how he tries to meet it head-on. He says he believes open dialogue, as long as it's civil, is almost always the right answer, and he’ll lean toward allowing a controversial speaker on campus. But he also won’t hesitate to speak out in favor of the students or faculty who feel under threat — even if that might inspire some complaints. In recent months, Texas Southern University cancelled a commencement speech by one of the state's U.S. senators, John Cornyn, after a student outcry over the Republican's support of President Trump. The University of North Texas incited outrage among many students and faculty for inviting Donald Trump Jr. to speak at a university event. And Texas A&M University has faced legal threats after cancelling a planned on-campus rally by a white nationalist. Schovanec is a relatively new university president, though he served at Tech as a mathematics professor and administrator for most of the past three decades. His permanent appointment as president in 2016 happened in the middle of the polarizing presidential campaign. Prior to then he was provost — essentially second in charge. In 2016, right-wing provocateur Milo Yiannopoulos came to Tech at the invitation of a conservative student group to give a speech about "lesbians faking hate crimes." A year earlier, local conservatives were enraged by an African American History Month lecture by radical liberal activist Angela Davis. Both speeches came and went without major incident. But Schovanec said he heard complaints from faculty, students and community members. Opponents of Davis' speech complained that she was a member of the Communist Party, USA. Opponents of Yiannopoulus pointed to his use of gay slurs and other hate speech. Other controversies, driven by social media, have bubbled up unexpectedly. After Texas A&M canceled a planned rally by a white supremacist earlier this year, a local television station asked Schovanec how he’d handle a similar situation. He said that he’d have to consult with lawyers and figure out how to balance free speech with campus safety. Every situation is unique, he said. That prompted protest from faculty members who hadn't seemed to see the whole story, he said. Tech isn't known for having a particularly liberal campus. But when Trump was elected in November, students and professors across the country raised the alarm about the safety and future of undocumented students on their campuses. Some college presidents declared their schools “sanctuary campuses.” Others made public calls for Trump to preserve an Obama-era program known as Deferred Action for Childhood Arrivals that allowed some immigrants who entered the country as minors to remain here at least temporarily without the threat of deportation. Schovanec stayed relatively silent on the issue compared to many other presidents. But in the following months, he began to regret that decision. When the Trump administration announced this month that it planned to rescind DACA, Schovanec saw it as an opportunity. He penned a letter telling students about the resources available to undocumented students on campus. Then, in a tame but clear statement, he expressed his support for retaining DACA. “I will work with the TTU System and other leaders of higher education in encouraging Congress to enact legislation that would allow these students the opportunity to continue their education,” he wrote. Schovanec said he didn’t consider that a political statement. He said Tech has undocumented students, and he needed to show support for them. “It would be inconsistent of our mission to ignore it,” he said. The podcast featured local talk radio personality Chad Hasty, who bemoaned what he perceived as the leftward political shift that Tech has undertaken in recent years. In an interview, Hasty said his listeners have noticed. “The university, they believe, is leaning toward a more liberal slant,” he said. Around the same time, Schovanec said he read a story in the Tech student newspaper that quoted students saying he hasn’t been adamant enough in his support DACA students. Schovanec’s strategy to handle those complaints has been to promote dialogue. When he saw the podcast featuring Hasty, his office reached out and asked to have lunch with the talk radio host. And he said he has tried to get the message out to minority students on campus that he supports them. Heriot was invited to campus by a law school professor, and Michael San Francisco, the honors college dean, invited her to speak separately to the honor students before he knew much about her background. After speaking with Schovanec, the worried dean proceeded with the event, but warned Heriot to keep things respectful. A few honors students chose to avoid the event, San Francisco said, but Heriot spoke for about 40 minutes and everything stayed cordial. In the end, San Francisco said, Schovanec seemed to make the right call. Disclosure: Texas Tech University, Texas A&M University and the University of North Texas have been financial supporters of The Texas Tribune. A complete list of Tribune donors and sponsors is available here.